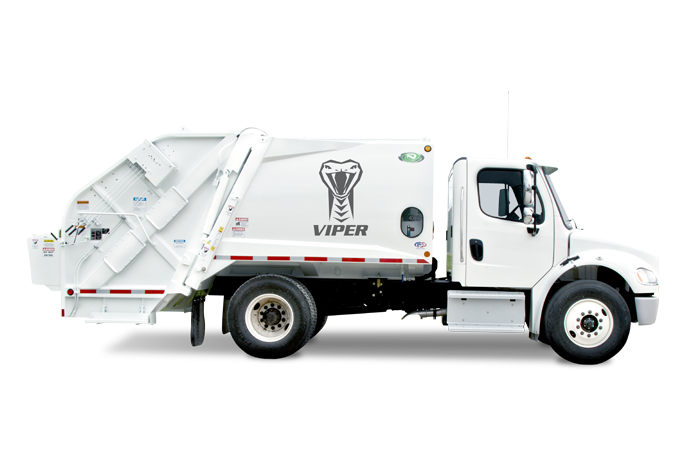 “The New Way 11yd Viper works great. 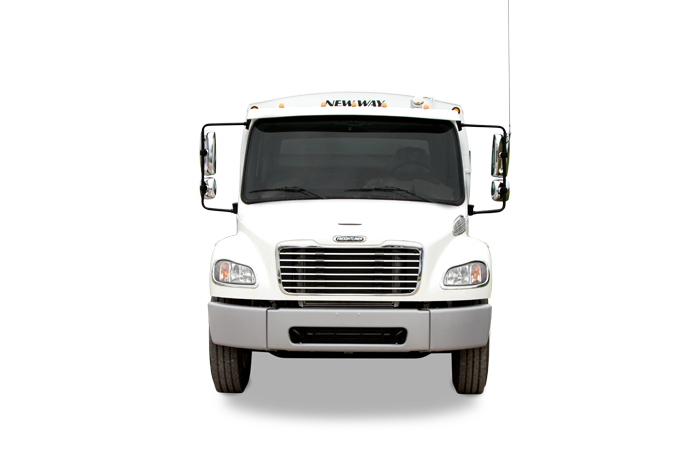 We use it for residential pick-up only. 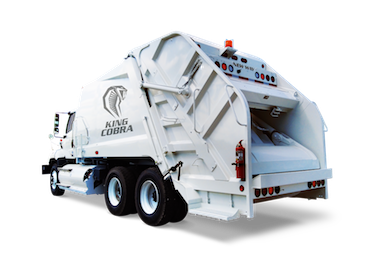 It is an excellent packer and also the right size for getting into limited turning areas." 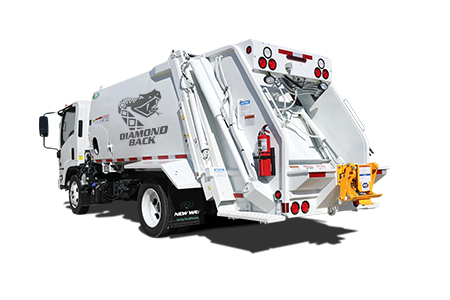 Save time and effort and decrease the likelihood of a safety issue with automatic tailgate locks standard on this mid-size rear loader. 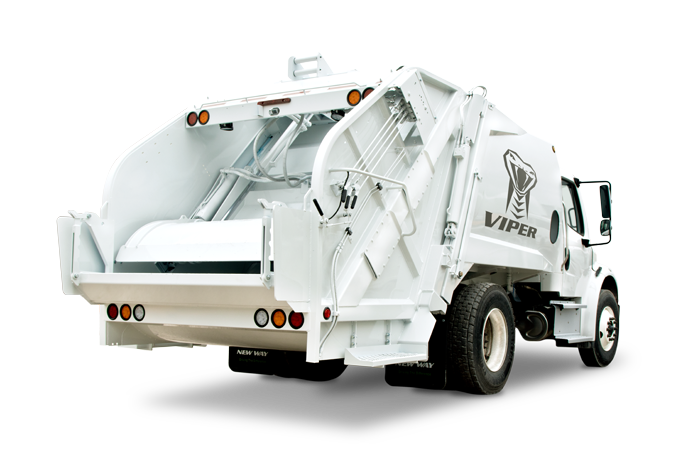 The Viper is a rare breed--a mid-size rear loader with a large 3 yd³ hopper. 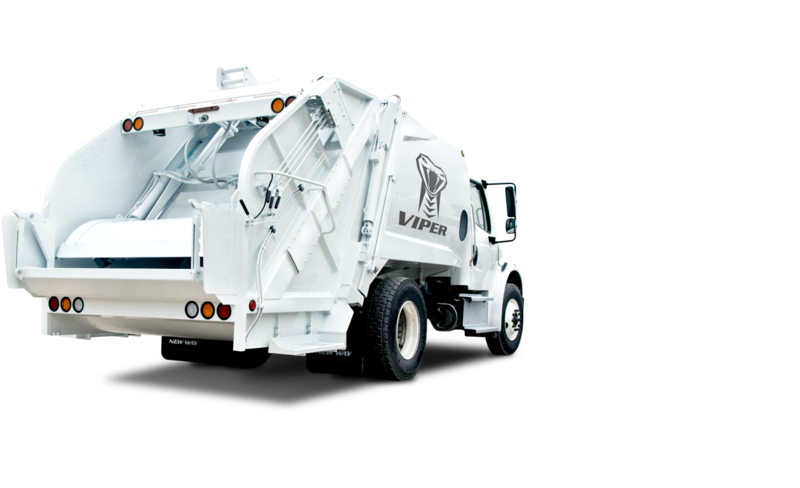 The Viper incorporates many safety features standard, beginning in design with valve placement on the outside of the truck body. 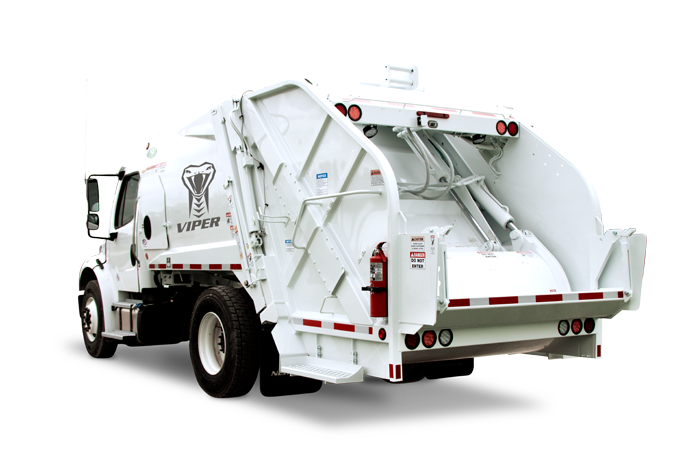 The New Way® Viper™ Rear Loader is one of the most popular mid-compaction rear loader bodies on the market today. 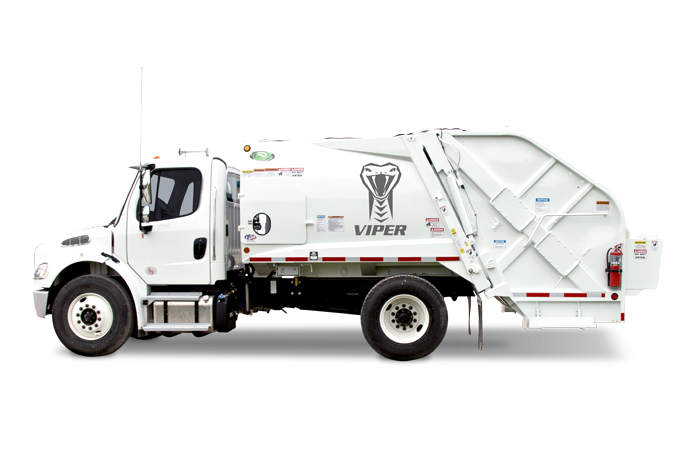 Larger capacity Viper units are excellent for both residential and commercial work. 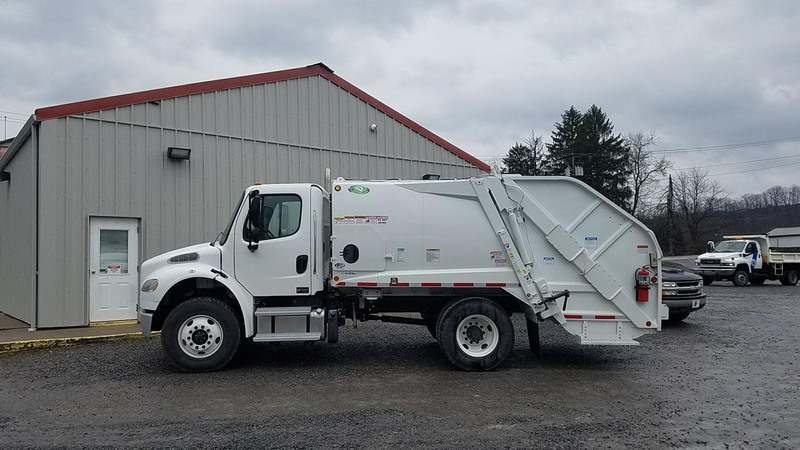 New Way's engineering team has increased safety and added value with a design that moves the cylinders and the operating valve to the outside of the truck body. 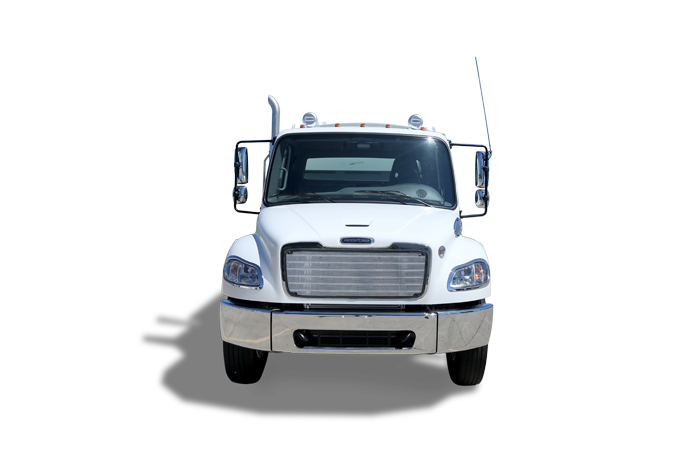 This creates a straight line between levers and control rods, making maintenance quick and easy. 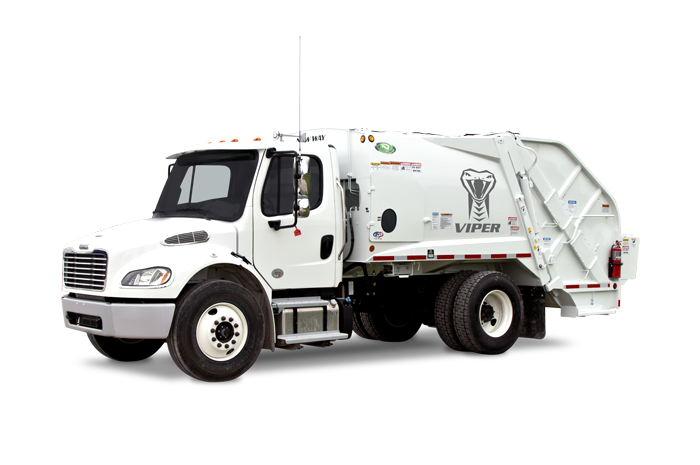 The operator valve placement eliminates the need to reach into the truck body, increasing employee safety. 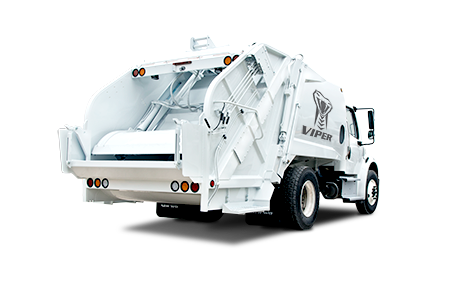 And, the Viper also comes standard with automatic tailgate locks with the control handle located on the side of the chassis; eliminating the time and effort needed to go back and forth to operate the traditional turnbuckle locks. 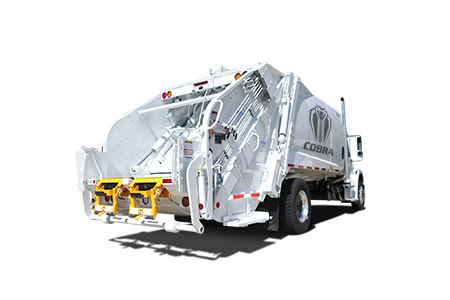 With accessories and adapters to accommodate all varieties of residential cart tippers and commercial containers, a rear-view camera and a two-year cylinder warranty, this venomous rear loader is sure to paralyze the competition. 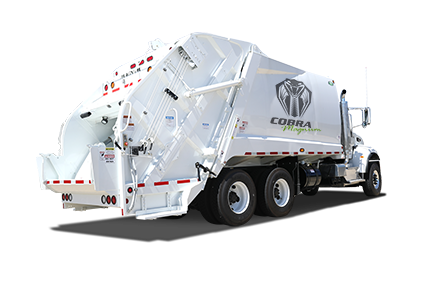 Click the tabs below to cycle between specifications. ‡ - Length measured depends on options ordered. * - Approximate Body Weight empty and exclusive of options. 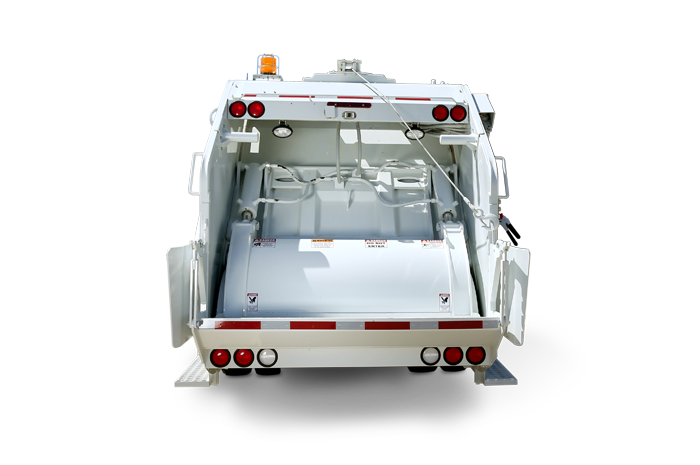 Click the panels below to expand the desired specifications. Hopper Opening Height 11-13RL: 45"; 16-20RL: 52"; 25RL: 50"
Upper Slide Shoe LUG: 7 1/4" X 1"; UHMW: 6 7/8" X 5 13/16" X 1 3/4"
This area shows the fluctuation from minimum to maximum of that spec. These graphs are set to scale against largest measurements possible from our Rear Loader line.